[S11] Alison Weir, Britain's Royal Families: The Complete Genealogy (London, U.K.: The Bodley Head, 1999), page 91. Hereinafter cited as Britain's Royal Families. [S11] Alison Weir, Britain's Royal Families, page 92. [S11] Alison Weir, Britain's Royal Families, page 115. [S6] G.E. Cokayne; with Vicary Gibbs, H.A. Doubleday, Geoffrey H. White, Duncan Warrand and Lord Howard de Walden, editors, The Complete Peerage of England, Scotland, Ireland, Great Britain and the United Kingdom, Extant, Extinct or Dormant, new ed., 13 volumes in 14 (1910-1959; reprint in 6 volumes, Gloucester, U.K.: Alan Sutton Publishing, 2000), volume III, page 171. Hereinafter cited as The Complete Peerage. [S6] Cokayne, and others, The Complete Peerage, volume III, page 172. [S6] Cokayne, and others, The Complete Peerage, volume II, page 69. [S6] Cokayne, and others, The Complete Peerage, volume III, page 257. [S11] Alison Weir, Britain's Royal Families, page 113. [S6] G.E. Cokayne; with Vicary Gibbs, H.A. Doubleday, Geoffrey H. White, Duncan Warrand and Lord Howard de Walden, editors, The Complete Peerage of England, Scotland, Ireland, Great Britain and the United Kingdom, Extant, Extinct or Dormant, new ed., 13 volumes in 14 (1910-1959; reprint in 6 volumes, Gloucester, U.K.: Alan Sutton Publishing, 2000), Volume XII/2, page 895. Hereinafter cited as The Complete Peerage. [S11] Alison Weir, Britain's Royal Families: The Complete Genealogy (London, U.K.: The Bodley Head, 1999), page 92. Hereinafter cited as Britain's Royal Families. [S6] G.E. Cokayne; with Vicary Gibbs, H.A. Doubleday, Geoffrey H. White, Duncan Warrand and Lord Howard de Walden, editors, The Complete Peerage of England, Scotland, Ireland, Great Britain and the United Kingdom, Extant, Extinct or Dormant, new ed., 13 volumes in 14 (1910-1959; reprint in 6 volumes, Gloucester, U.K.: Alan Sutton Publishing, 2000), volume III, page 172. Hereinafter cited as The Complete Peerage. [S11] Alison Weir, Britain's Royal Families, page 93. [S6] Cokayne, and others, The Complete Peerage, volume I, page 183. [S11] Alison Weir, Britain's Royal Families, page 94. [S6] Cokayne, and others, The Complete Peerage, volume III, page 173. [S11] Alison Weir, Britain's Royal Families: The Complete Genealogy (London, U.K.: The Bodley Head, 1999), page 94. Hereinafter cited as Britain's Royal Families. [S6] Cokayne, and others, The Complete Peerage, volume II, page 70. She was also known as Joanna of England. Simon de Dammartin, Comte de Ponthieu et Aumale was the son of Alberic II de Dammartin, Comte de Dammartin and Mahaut de Clermont. 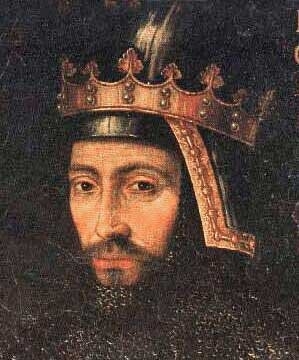 He married Marie de Ponthieu, daughter of William III Talvas, Comte de Ponthieu and Alys Capet, before September 1208. 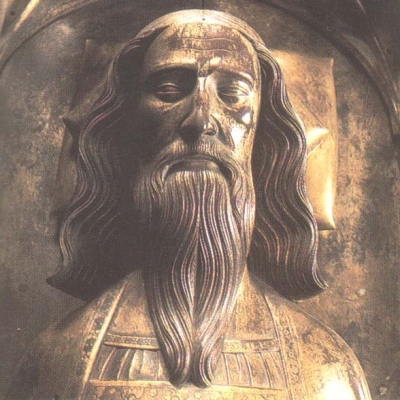 He died on 21 September 1239. [S11] Alison Weir, Britain's Royal Families: The Complete Genealogy (London, U.K.: The Bodley Head, 1999), page 98. Hereinafter cited as Britain's Royal Families. [S11] Alison Weir, Britain's Royal Families, page 101. [S11] Alison Weir, Britain's Royal Families, page 99. [S6] Cokayne, and others, The Complete Peerage, volume I, page 248. [S6] Cokayne, and others, The Complete Peerage, volume II, page 494, says 5 June 1344. [S6] Cokayne, and others, The Complete Peerage, Volume XII/2, page 896. [S6] Cokayne, and others, The Complete Peerage, volume XII/2, page 897.